Sauces & Dressings Cranberry Sauce-No refined sugar and no nasties! 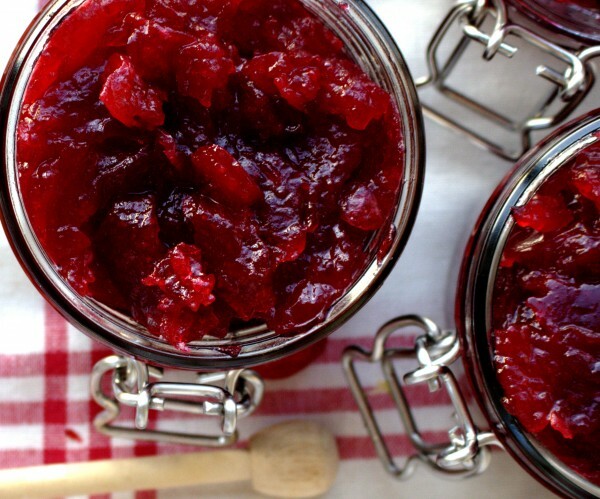 Christmas wouldn’t be Christmas without cranberry sauce. I came up with this recipe last year for my first Specific Carbohydrate Diet (SCD) Christmas. I loved the recipe so much, I have been making it ever since. 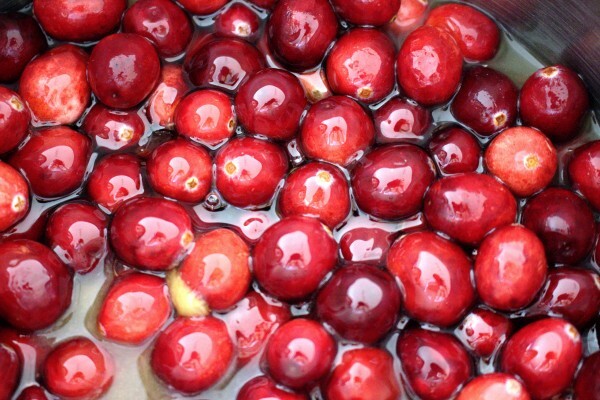 My trick is to buy lots of cranberries around now and freeze them so I can make this all-year round. 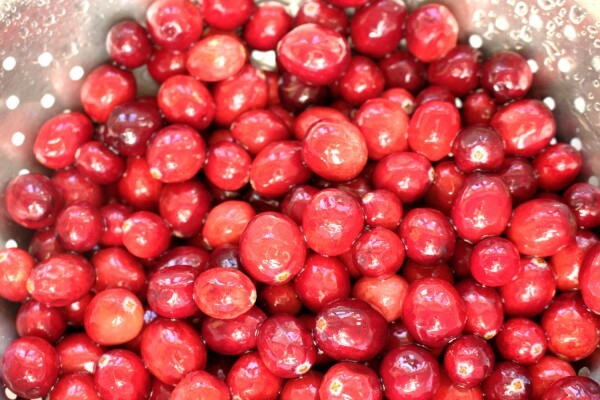 You try buying cranberries in the middle of June, not easy! Since roast chicken is our comfort food, this features regularly on our menu. My daughter absolutely loves it. I think more than anything, it’s the novelty than I’m letting her have “jam” with her dinner. 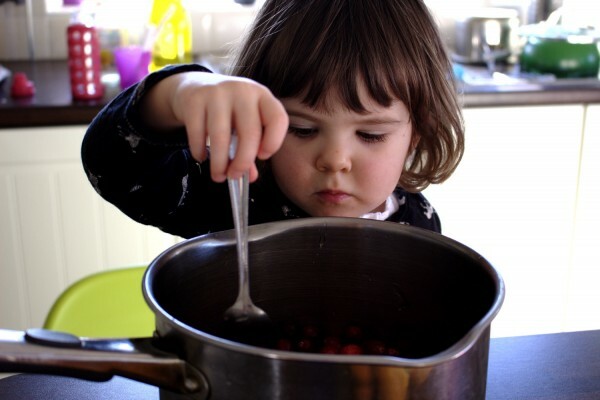 When she’s older I’ll have my serious talk with her about the difference between refined sugar and raw honey! This is a great present to give at Christmas. It’s not super-cheap to make I’m not going to lie because I don’t know if you’ve noticed but raw honey is expensive but it is so worth the price and (little) effort. 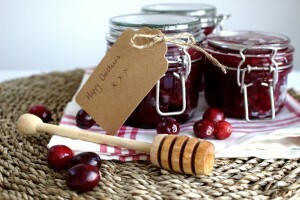 Everyone loves to receive a homemade gift and this certainly has the wow factor. Apart from turkey and chicken, I love pairing it with a good, mature cheddar cheese and my thyme and sea salt crackers. 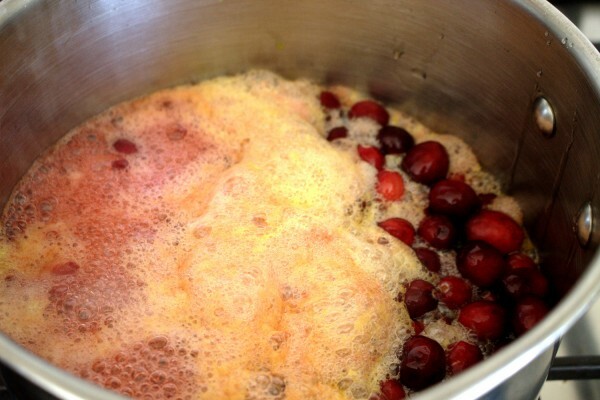 Wash and dry the cranberries. 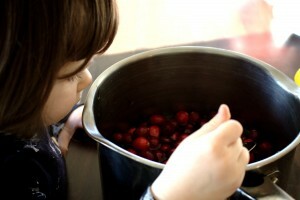 Place them in a large pot and add the other ingredients. Stir the contents well. I had a cute helper for this part! Place the pot on the stove and bring the mixture to the boil. You will see a beautiful coloured foam rise to the top. Some would skim this, I didn't! Once the contents are boiling well, turn the heat down and continue to simmer for 30 minutes, stirring often. Then mash the mixture well with a potato masher (unless you like yours super-lumpy!). 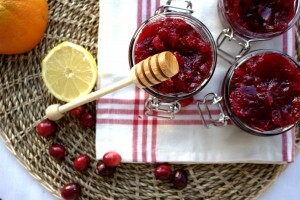 Allow to cool to room temperature then place in cooled, sterlised jars. To sterlise jars, wash in warm, soapy water well then place upside down on a baking tray and place in an oven to dry at 120°C fan/ 140°C electric/ gas mark 1/ 275°F. Allow them to cool completely before filling with the cooled sauce. 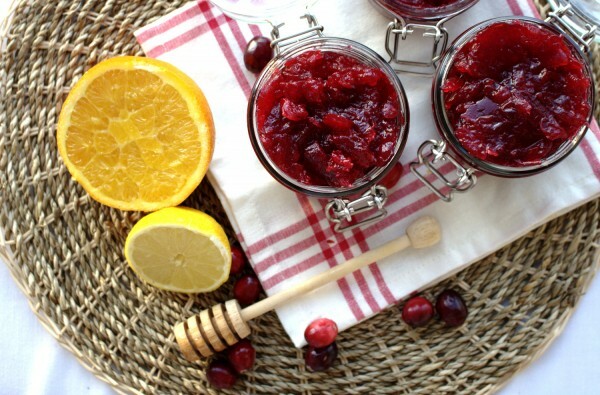 Note: As there is no refined-sugar or no pectin (setting agent) in this jam, it will not keep as long as ordinary cranberry sauce. Keep for a week or two in the refrigerator or in the freezer in freezer-safe containers for longer.